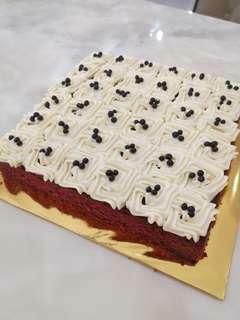 Delicious red velvet cake with cream cheese frosting. Available in 2 sizes: 9" RM60 12" RM100 All payments will be made through online banking and full payment is needed when order is confirmed. Burnt cheesecake is the creamier and silky cousin to the new york cheesecake. 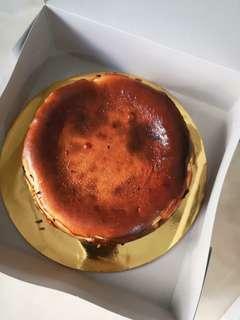 The nice burnt top gives a caramelised flavour to the creamy cheesecake. Available in two sizes 7" round RM50 9" round RM95 All payments will be made through online banking. This delicious crunchy cookie is packed with chocolate chip and a hint of sea salt. It is approximately 200 gms (usually more, never less) and only RM20 a jar. Mailing is available. Postage cost will be advised, using Poslaju. 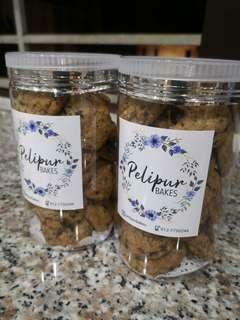 Approximately RM10 for one package that can fit up to 3 jars. 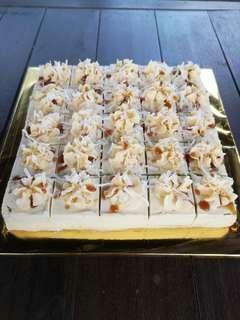 This yummy carrot walnut cake is topped with cream cheese frosting and is made fresh to order. Please order minimum 2 days in advance. Available sizes: 9" square RM50 12" square RM95 8" round RM95 All payments will be made through online banking. 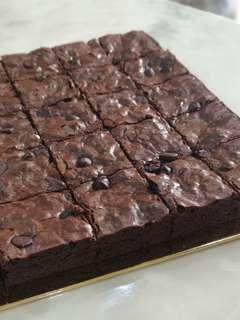 Fudgy brownies with dark chocolate chips, everyone's favourite dessert. 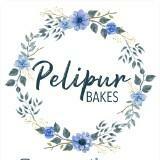 Available in 9" square Please order 2 days in advance. Rush orders can be discussed. All payments will be made through online banking. 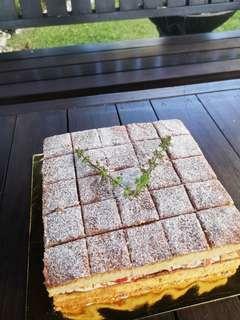 Classic Victoria Sponge Cake, made from premium ingredients and homemade strawberry compote. Please order 2 days in advance. Two sizes available: 8" RM75 9" RM85 Just add RM10 full frosting and fresh strawberries and blueberries All payments will be made through online banking. 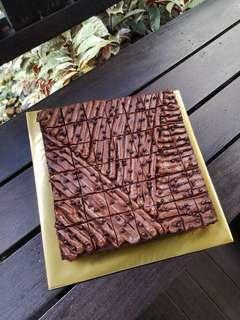 This is a delicious 8" Pandan Gula Melaka cake, baked fresh for you. Please order at least 2 days in advance. 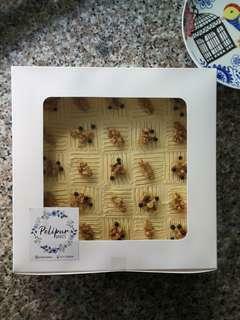 This cake is a single layer cake, suitable for small gathering. 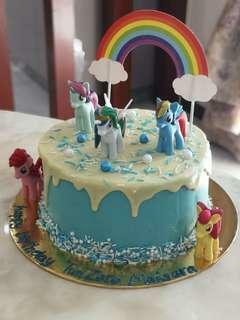 Other sizes available : 10" single layer RM85 12" single layer RM100 All payments will be made through online banking.